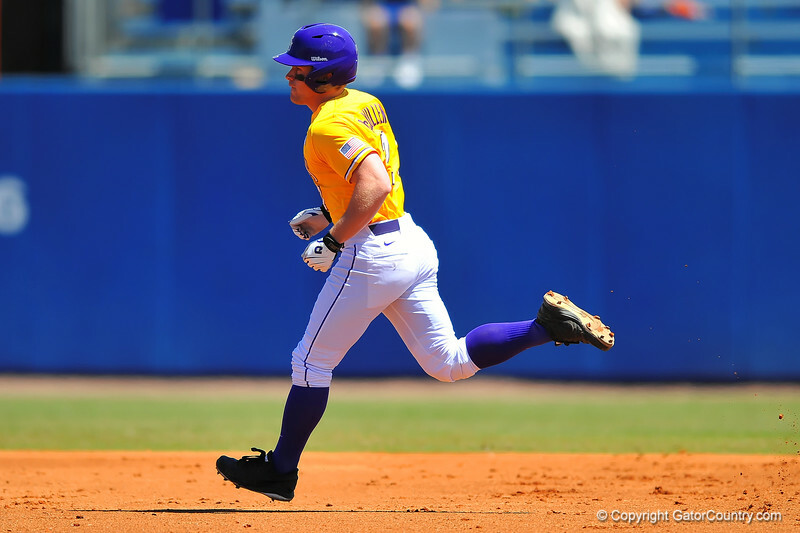 LSU OF Shane McMullen rounds second after hitting a home run. Florida Gators vs LSU Tigers. March 30th, 2014. Gator Country photo by David Bowie.